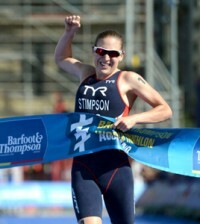 Doing your first triathlon this summer? Read on for our downloadable eight week training plan for a sprint triathlon for a fit first-timer. 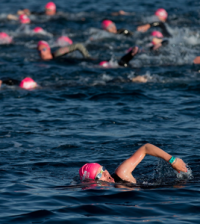 If you’re thinking of doing a triathlon this summer, you’re not alone. The fastest growing sport in the UK is attracting hordes of women from all walks of life – but all with one goal – ready for a challenge and for the thrill of finishing their first triathlon. And chances are it won’t be the last either… triathlon is strangely addictive and once is seemingly never enough. If you think it’s not for you, then think again. The women taking it up are from every background you can imagine – all very different shapes, sizes and fitness levels… triathlon is most definitely not just for the super-fit. 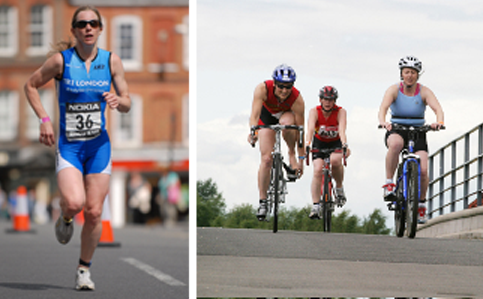 Races take place all over the UK and with vastly varied distances – with women only, novice events, short sprint events, pool or open water swims, you’re spoilt for choice. Your own background in sport and current fitness level will be the deciding factors in the type of race you choose and the distance you go for. Your first race should ideally be challenging, yet realistic. Don’t go for something too extreme, which could put you off and likewise if you already have a high level of fitness, don’t go for something too tame, which won’t provide a challenge. An Olympic distance triathlon is a 1500m swim, 40km bike then a 10k run, likely to take something in the region of 3 hours. If you already have a strong background in one of the disciplines it is certainly possible to go straight in at this distance. Perhaps you’re an accomplished marathon runner with good endurance – you may just need to spend extra time on your bike and in the pool and you’ll be fine to tackle the Olympic distance straight off. Most women however, prefer to start with a pool based, novice or sprint event and gradually build their way up. A sprint is normally a 500m swim, 24km bike and 5km run and is a perfect starting point for your first event, likely to take in the region of 1.5 hours. The key to triathlon success is becoming as competent and fit as you can in each of the three disciplines. If you are already a good swimmer, you need to focus more on biking and running, and if you can already run well, then spend more time in the pool and on your bike. Think about trying to work on your weaknesses, but at the same time maintain your strongest discipline. It doesn’t matter if you can’t swim front crawl, breaststroke is fine and will certainly get you through your first race. Crawl is more efficient though, so it’s worth getting some lessons or coaching to learn the correct technique. If you’re new to swimming, keep the sessions short and build up gradually to make sure you avoid injury. Swim training is always based on intervals, so don’t plough up and down. Break your session down into short efforts with rests in between. You may not have ridden a bike for a few years, so getting confident on two wheels could well be the main priority. 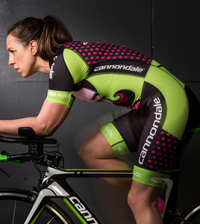 Your technique on the bike is important for your comfort and efficiency, so aim for a relatively high cadence (around 90 revolutions of the pedals per minute ie don’t try to push hard gears, keep it low and fast…but not too fast!) and use your gears for maximum benefit. Cycling is non-weight bearing so don’t be afraid of increasing your mileage quite quickly. If you find it hard to get outside on your bike, you can swap some sessions for a spin class or a turbo trainer. Running is high impact and the discipline most likely to cause injury if you push too much too soon. If running is new to you, build up your mileage slowly. Bear in mind however, that the run section of a sprint triathlon is only 5km and you’ll carry over a lot of fitness from your cycling, it does however come at the end of the race when you’ll be tired. Aim to be able to run at least 30-40 minutes continuously before the event. This plan gives you four key sessions a week, plus an additional one of your choice – you can choose to do this in any of the disciplines. One week you might want to work a bit harder on your weakest discipline, but the following week you might just fancy another run if that’s your regular sport. The point is that the plan is flexible and gives you plenty of variety…rather like triathlon itself. Swap the sessions around if you want to, the schedule here is just a guideline. Make sure you take two days off each week. Stretch after each session and keep hydrated by drinking plenty of water. – A brick session is where you do two disciplines back to back. The most important to practice is bike/run to get used to the jelly leg feeling! – Two weeks before the race day, one of the swim sessions needs to be a 500m continuous swim… to give you confidence you can do the distance. Don’t push too hard or race it, just knock out the lengths. 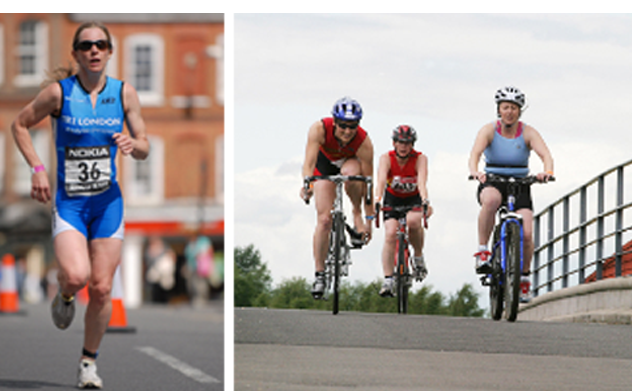 Click here – First Triathlon Sprint Training Plan – to download your training plan in an easy to print off and use format.